Welcome to The Ship Inn news and reviews section. Our Facebook page contains all the latest news and customer reviews as we keep this updated on a regular basis. Please click on the image below to open our Facebook page. Please like our page as it is very much appreciated. 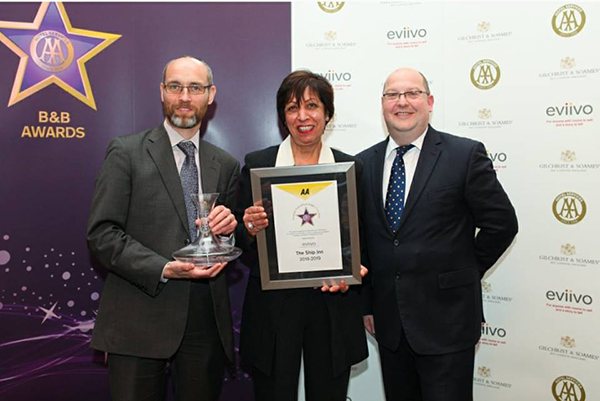 This award recognises the dedication and commmitment of our guest accommodation owners in setting and maintaining exemplary standards of hospitality and care.